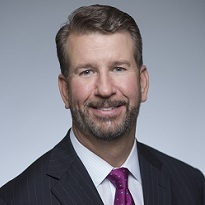 As co-CEO, Stephen Mauldin oversees CNL’s enterprise-wide real estate investment and fund management, legal, compliance and other corporate functions while jointly managing capital markets activities and day-to-day operations for the Orlando, Fla.-based firm. Since its founding in 1973, CNL has formed or acquired entities representing more than $34 billion in assets. Beginning in late 2011, Mauldin served as CNL’s group president-real estate investments and led a multidisciplinary team responsible for over $5 billion of new investments in healthcare, multifamily and leisure properties, along with a comparable amount of disposition activity. Prior to joining CNL, Mauldin was president, chief executive officer and a member of the board of directors of Crosland, LLC, a privately held, multi-billion dollar Charlotte, North Carolina-based real estate development and asset management company. Mauldin previously spent eight years as a principal and founding partner of private investment and operating firm Crutchfield Capital, LLC. He also held various positions with Security Capital Group, Inc. after beginning his career as commercial real estate lender in the metro-Tampa, Fla., market. A life-long sports fan and former professionally drafted, collegiate and academic all-American athlete, Mauldin is passionate about the role sports play in developing all aspects of a community.